Scandinavian Modern Water Carafe. This beautiful Scandia water carafe captures the spirit of the mid century modern Scandinavian design movement. This attractive glass carafe is full of personality and displays nicely on the kitchen counter or on the dining table. Clean lines and natural materials create the elegant simplicity of our Scandia modernist design carafe. 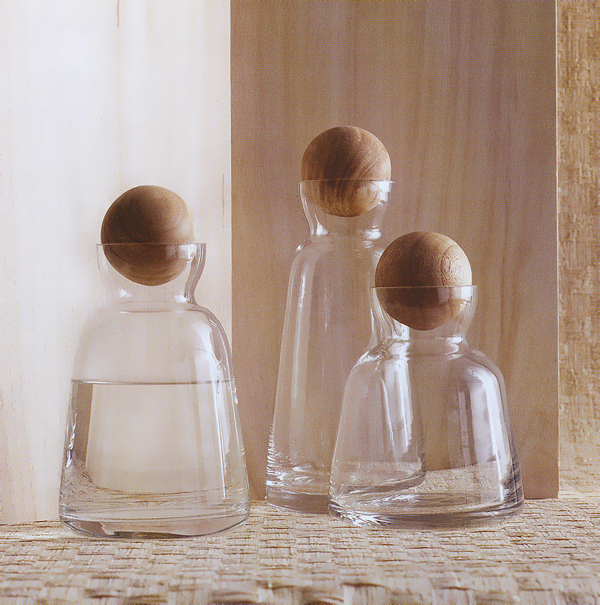 Each carafe is expertly crafted by master glass artisans from hand-blown glass and features a wooden sphere stopper. This beautiful carafe is perfect for the home, cafe or restaurant setting. Available in three sizes, these modernist glass carafes make a beautiful addition to a dining table, home bar or bedside.